Move beyond the existing model of schooling toward a personalized competency-based approach to drive transformational change. Connect educational leadership, student engagement, and teacher optimism to support academic achievement. Now is the time to evolve from the existing model of schooling into one that is more innovative, relevant, effective, and successful. 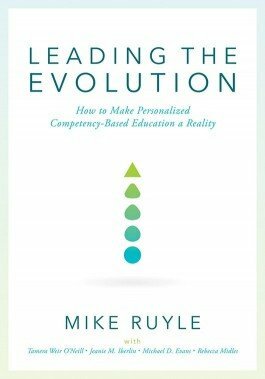 Leading the Evolution introduces a three-pronged approach to driving substantive change—called the evolutionary triad—that connects transformative educational leadership, student engagement, and teacher optimism around personalized competency-based education. Each chapter includes supporting research and theory, as well as clear direction and strategies for putting the evolutionary triad into practice. Understand the current state of education and why changing it is imperative. Identify the leadership behaviors that lead to the organizational and cultural shift necessary to transform the current education paradigm. Consider in detail all three points of the evolutionary triad: transformational instructional leadership, teacher optimism, and student engagement. Examine the central focus of the evolutionary triad: personalized, competency-based education. Explore leadership practices that support successfully implementing the evolutionary triad and learning competencies in schools.